To turn your challenges… into ACHIEVEMENTS. The realization of a goal is not a complicated process. In fact, it’s a simple matter of cause and effect. As straightforward, consistent and reliable as 2 + 2 = 4. The problem is, most companies approach goals in roundabout way. They pass the appropriate sub-goals on to its executives and employees, expecting them to change their behaviors and habits in order to change results. That approach seldom works. 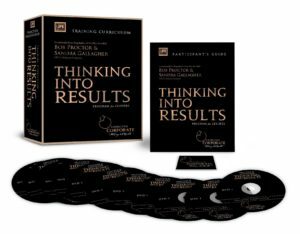 Developed by world-renowned success expert Bob Proctor and legendary corporate attorney Sandy Gallagher, Thinking Into Results is the most powerful process EVER created for quickly and permanently transforming ANY goal, dream or desire into reality. It is a consultant-guided home/office study program designed to facilitate positive, profound, and permanent change in any area of your life. Overall Benefits: Thinking Into Results creates a culture that promotes individual growth in a positive environment where individuals, couples, athletes, artists, performers, entrepreneurs all feel supported and like they are a major contributor to society—no matter what career path they have chosen. It allows individuals to create desired results without competing against others in your industry. A weak goal generates weak results. A goal you haven’t thought through (or worse, aren’t aware of) could deliver exactly what you don’t want. But a worthy goal, joyfully formed and articulately expressed, is the first and most critical step toward creating the results you want. Benefits: Why do we do the things we don’t want to do when we know better? It’s the Gap. We limit ourselves by what we truly believe. Our beliefs dictate how we behave. And it’s our behavior, our action, that get us our results. Change the belief. Change your results. Benefits: Your mind truly is infinite. That being said, we live our lives on auto-pilot about 98% of the time. A lot of the time we run on beliefs and programming from our lower self. These are not our beliefs. They were programmed into to us at an early age. How to reprogram our programming and live in a belief system from our higher self? 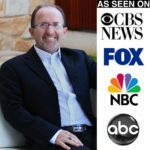 Work with me as a Results Coach to get quantum results beyond expectations. Write today to create a new culture of creative thinking in your company. 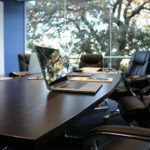 One of our consultants will call you to ask what you think your company needs. DJ has literally spent tens of thousands of dollars working with some of the most brilliant millionaire minds in the self-development industry. This program works because Thinking Into Results is not just more information, TIR is transformation. You will see the difference in your own life and in the life of your staff members. Thinking Into Results creates a corporate culture that promotes employee growth in a positive environment where they feel supported and like they are a major contributor to the organization—no matter what position they hold. It allows your organization to create desired results without competing against others in your industry. Click her to request a 45-minute consultation. Benefits: If I asked you to think of your car a picture of it would come onto the screen of your mind. If I asked you to picture your mind, what do you see? Most people get a picture of their brain. Your brain is no more your mind than your elbow. You think with your brain but your brain can’t think. In 1934 Dr. Thurman Fleet came up with an illustration so we would be better able to work with our mind. Benefits: We were taught to use our five senses. This is living from the outside in. We were programmed to react to our conditions and circumstances. In order to create the life we want we must live from the inside out. We must develop our intellectual faculties. Everyone has them. They are Memory, Imagination, Reason, Will, Intuition and Perception. These are our mental muscles and we can train and strengthen them to keep our new beliefs in place. Benefits: The feedback we get from our environment and the people we encounter are a reflection of our internal thoughts. If we notice negative feedback then we will know to adjust our internal thoughts and self-image. We are the only person in the world that have the ability to alter or improve our self-image. While respecting others, soaring with eagles, takes us above the negativity in our environment. Benefits: We all bump up against the wall of fear and doubt. Those that break through, get what they want – true freedom. The terror barrier has to do with a new idea that has not been acted on. It stays in our conscious mind but when me move towards it, we hit the terror barrier and think we cannot do it. When we move the idea to our subconscious, internalize it and make it part of us, that is when we break through the terror barrier to freedom. Then we can think more clearly to find creative solutions to challenges we face. Benefits: Praxis means “the integration of beliefs with behavior”, or simply doing what we truly believe. There are only two ways to do this: 1. Constant, spaced repetition. 2. Emotional impact. Nonproductive habits can be overpowered through the repetition of new beliefs that are planted in the subconscious mind with strong emotion, resulting in a new habit. When when change from non-productive to productive actions, our results can then match our worthy goals. Show me what you do, and I’ll show you what you truly believe. Benefits: The way we think about anything either positive or negative is what will return to us. There are only two polarities of thoughts: positive and negative. We have the power to choose our thoughts. Our attitudes are a composite of our thoughts, our feelings, and our actions. They are energy that we send out into the universe, and whatever we send out is what ‘s going to come back to us. This module will give us a very complete definition of attitude. Other programs may talk about the importance of having a good attitude, but this lesson explains what it is and how to change it. The result is focus so our actions align with a positive attitude and we become more productive and efficient. We will learn the way to create a positive attitude regardless of the situation. Benefits: The most valuable person is the leader. That leader can be you. A leader is someone who is led from within. A leader has a great attitude. A leader will automatically look for and find the good in others. This is why the leader is someone others want to follow. The effective leader knows how to give themselves a command and follow it. A great leader is also a great follower. Benefits: We start looking for what other people do well and we bring it to their attention. This gesture leaves the impression of increase with every person we come in contact with. That positive energy must flow to and through us first. By doing this gesture of encouragement, we are going to feel good all the time and will be in control of what we really think. This behavior emphasizes giving with no expectation of return — service to others. Benefits: Trying harder is not necessarily the solution for achieving more. Quantum leaps can come without apparent effort. These are high velocity moves that carry us to dramatically higher performance levels without a time consuming struggle. They happen by applying the concepts in the Thinking Into Results toolbox. Other programs may show how to make incremental changes. This program lays out the steps for quantum leaps, leading to dramatic results in performance we can to measure. Write today to create a new culture of creative thinking in your job/company.